Do you know that many vegetables from which you cut off the ends, can grow all over again? It’s a waist to throw them away! Starting food scraps out in water is often a helpful way to jump start a plant. The plant will typically begin to form roots in the water, and then when it has begun to establish itself you may even be able to transfer it to soil. 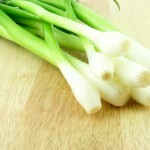 If you’re looking for a plant that is easy to grow from scraps, look no further than green onions. Once you’ve chopped up a green onion for cooking, all you need to do is submerge the white end with the roots in a container of water (leaving the top of the plant above the water’s surface) and place it in front of a window. The green onions will begin to grow roots and the green part of the onion will grow back. When you need onions for cooking, you can harvest the green tops and the base of the plant will continue to grow. Remember to change the water periodically to keep the plant healthy. Like growing green onions, growing celery from leftovers is also fairly straightforward. When you chop up the celery, leave the base of the plant intact. 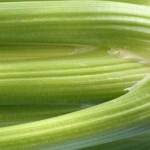 Sit the celery base in water (like you did with your green onions) and leave it in the water for about a week. Remember to change the water frequently. After a week or so, you will notice small, yellow leaves growing from the middle of the plant and the outer stalks will start to deteriorate. At this point, you can plant your celery in soil, either in a pot or in your garden (since celery is a cool weather crop, you’ll need the temperature to be warm enough for growing but not too hot). Growing romaine lettuce is similar to growing green onions and celery. Cut off the lettuce you plan to use and leave a couple inches at the base of the plant. 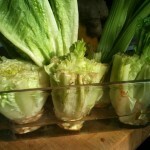 The romaine heart can then be set in water. New leaves will start to grow from the center and the outer leaves will die (and should be removed). If you’d like, you can eventually plant your romaine hearts in soil and start growing lettuce in your garden. Okay, so you can’t actually grow another carrot from scraps, but you can grow carrot tops, which believe it or not can be eaten. If you’re not a fan of bitter greens, carrot tops will at the very least make a good houseplant, and growing them makes a good project for kids. 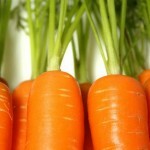 To grow carrot tops, the University of Illinois Extension explains that you’ll need to buy carrots with the leafy tops still attached and then cut them so there is about 2 inches of orange carrot still attached to each top. Then fill a pie pan with pebbles and water and place the carrot tops in the pan, cut side down. Put the pan in the sun and be sure to keep the water level at the top of the pebbles. The carrot tops will begin to grow into a fern-like plant. You can also try growing beets and turnips this way. To grown your own ginger, all you have to do is plant the leftover ginger with the newest buds facing up in moist potting soil. 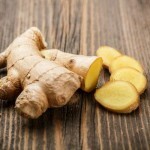 Ginger is a tropical plant, so it prefers humid conditions, but it should be fairly happy inside your house. Green shoots will come up out of the soil and the roots will spread out. After about four months, you should be able begin harvesting pieces of the root. If you have a little more patience, you can regrow a pineapple from its top. Cut off the fruit’s top with a quarter of an inch of the fruit still attached and then scoop out the fruit and let the top dry for a few days. Then press the top into a pot of moist soil media and water regularly, or plant directly in potting soil. Pineapples like warm, humid climates, so set your plant in the sun. You could even consider placing it near a humidifier. Pineapple plants take around two years to begin producing fruit, but in the meantime, you’ll have a tropical house plant. When potatoes start to grow eyes, many people might throw them in the trash. These eyes, while not ideal for eating, are actually the beginnings of a new plant. 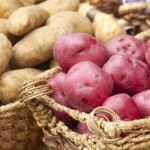 To grow sweet potatoes, plant the entire potato in moist potting soil. To grow baking potatoes, chop them up into a few pieces with a couple of eyes on each piece. Then plant the pieces in moist potting soil and soon they’ll begin to sprout. Once the potatoes sprout, you can actually take cuttings and plant those separately to produce more plants. 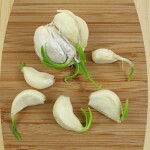 Like potatoes, sometimes garlic cloves start sprouting before you get around to using all of them. Instead of tossing sprouted garlic, plant it. It’s easy to take care of and can be grown again and again. Simply plant a clove in soil (sprouted end up), with the papery layer still on) and place the pot in a warm, sunny location in your home. Once the shoots begin to grow tall, you can cut them back to cause the plant to put its energy into making a bigger bulb of garlic. When your garlic bulb is ready to be harvested, you can plant one (or many) of the cloves so you can keep the growing cycle going. Onions are another vegetable that can be easily grown from scraps. Simply cut off the root end of the onion leaving only a small amount of the onion flesh attached. 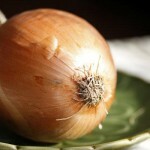 Plant this just beneath the surface of the soil in a sunny location, and in a few months you should have a new onion. You’ll know the onion is ready when its stalk starts to turn yellow. After eating your onion, plant its roots in the ground again and you’ll be able to check one more item off your future grocery list. 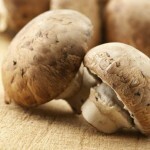 Although they can be difficult to grow, it is possible to grow mushrooms from scraps. It’s probably easier to grow them indoors because outdoors they will compete against other fungi. To grow a mushroom, remove the head and plant the stalk in soil with the top of the stalk exposed to the air. A new mushroom head should begin to grow if conditions are appropriate. Generally, mushrooms prefer cool, moist growing environments without too much light. Dit artikel is geplaatst in foods, Garden, tips&tricks en getagged development, food, Garden, green, Health, IzReaL.eu, natural, preservation, regrow, science, scraps, sustainable, tips, understanding, value. Bookmark hier de permalink. @EcoEstateAgent You are welcome, and thank you for following us as well. izreal.eu/2014/07/15… Harvesting rain is a practice that has been around for centuries. A low tech solution. izreal.eu/2014/07/12… Nothing announces your ambition to unshackle from the grind of daily life like moving into a cabin.